Vira hummed softly as she did her little sister's hair. Kylie was a good child, but she had a lot of excess energy. Hardly malicious though. Instead of home, Vira was staying in the Goldsmith estate again for the day. She wasn't sure what she was going to do today, probably just go out with her sister. It was interesting meeting the leader of the Mystics, even if it was very brief. A whole year passed but it seemed to pass by in a blur. One of her few concerns was Alden and his slowly falling health; he still hadn't picked a successor yet or gotten a hold of Alister as he wanted. This made Vira decide, if no one else stepped to the plate, she would. Besides, she had wanted a more quite life from the singing thing despite how much she liked it. Vira didn't expect any visitors today, but she had been surprised before. If nothing else, Goldsmith estate always did get all matter of interesting guest. If she recalled, Espen was talking to a friend to Norpheus about some idea, but she wasn't sure on the details exactly. Adiane came over, wings folded a bit closer to her back as she greeted the two women in the kitchen. "Afternoon you two." Vira stopped combing Kylie's hair for a moment to greet the other woman. "You too. Do you know when Espen is going to be done or what they're talking about?" "I don't know." They said with a simple shrug. "Master Espen did mention something about finishing up a idea that was sprung from those meetings all that time ago. What is it is other then that, I can't say. It does involve Norpheus though." There was a knock at the front door "Lady Sōten, leader of the Thunder Demon tribe is here to see mister Goldsmith!" bellow someone on the other side. "Kōryū! Don't be rude!" says a female voice on the other side of the door as well. Adiane raised a brow, but she knew the name well enough. She opened the door, spotting the two and moved to the side to allow them inside before closing the door. "He's in right now but occupied with a friend of his name Norpheus discussing something. I shall go retrieve them for you. Do you want anything while you wait?" Vira became a bit curious of what all the commotion was about, but she kept Kylie still but decided to see what was going on. Kylie kept close to her however. As soon as the doors open, a dark cloud billows on in, engulfing everything as thunder rumbles from somewhere within! The cloud swirls around the entrance to the mansion "Kōryū!" says a female voice through the dense cloud "Remember, we don't make a scene!" Sōten says as she comes walking in, raises a fist and smacks the cloud three times, which turns into a small dragon. Adiane tensed up a bit, preparing herself in case of a threat and moving in front of Vira and Kylie. It was true they were Nosferatu but one wasn't really a fighter and the other was just a little girl. Though, as it turned out there was nothing to be concerned about; the scene died down..revealing a small dragon. Adiane frowned, she relaxed a bit otherwise. "..Rather small for a dragon." They didn't seem like a threat, but she had to be cautious all the same. Though Jennifer and Hiromi being around Espen should be more then enough to handle most. She was all right with Souten from what she knew, and the dragon seemed harmless. Just dramatic, besides she was of course not the only security here. It was just a good idea not to show all your cards up front. "All right. I'll retrieve Master Espen. One moment." She then went up the stairs to get them. Kylie had hid behind her older sister when the clouds came up, since they had scared her but calmed down when there was nothing really scary behind it. Except there was a dragon. She had never seen one that small before, unless it was a baby? Vira glanced around, then approached. "Welcome. 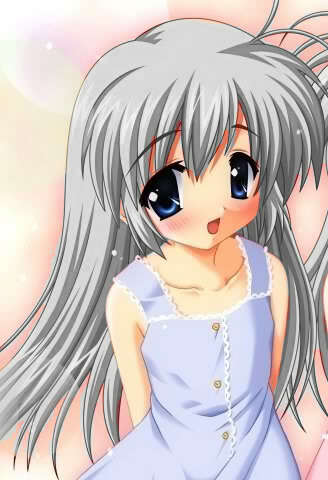 I'm Vira Nakeen and this is my little sister Kylie. It's nice to meet you." Kōryū scoffs "You can think whatever you want." he says. Sōten frowns, then looks to Vira "It's nice to meet you. As you no doubt know, thanks to me little friend here, I am Sōten." she says with a nod "It's good to meet you." she says. Kōryū perks up "Vira Nakeen?" he asks in a squeak "The famous singer?" he asks, sounding excited. Vira blinked a bit, then smiled a bit. "Was, but thank you. I decided to try my hand on living a more quite life for a bit." It seemed to work only half the time though. Even if she had taken a indefinite break from the whole singing thing, people still knew her. Still, while she partly missed all the singing she much enjoyed the peace and quite and spending time with her family and friends. Kylie finally decided to come out from her spot behind Vira, she was more curious then anything else. "I never met a dragon before so you..that's cool." She did wonder why they were small, but a dragon was a dragon to Kylie. A moment later, Adiane came back, along with Espen, his body guards and his friend Noprheus. Espen was the first to greet Souten. "I didn't expect to see you here Lady Souten. What can I do for you today? Or would you like to take the conversation elsewhere?" Sōten shakes her head "No. I just came to see if there was any word from Alister yet." she says "I would very much like to talk about what we were talking about sometime ago." she says, not wanting to scare Kylie about talks of Hunters and non-humans and the constant tension between the two. Vira felt some mixed emotions coming off, but it was enough, along with what had happened in those meetings(though she hadn't been there of course) that it probably wasn't a suitable conversation for Kylie all things considered. She took her sister's hand. "Let's go back into the kitchen for a moment, hm?" "But I wanted to hang out with.."
The simple retort got Kylie to be dragged along without further protest from the little girl. Espen watched them, turning to Souten. "I'm afraid not. Alister is a busy man so its hard to say. I would have thought we may of heard something by now if even a glimpse since its been a year and some odd time after but things happen." "Coincidentally, me and Espen we're talking about the same thing." Norpheus said. "We haven't really come up with anything substantial however so far." He was convinced they would, eventually with or without Alister's help. Alister seemed to have a good head on their shoulders from what he remembered of him, but they couldn't rely on one person; it was a group problem, so it would be solved as one. Sōten sighs "I was hoping something would have been done by now." she mumbles "The Hunters say they want peace, but more and more of our people meet with very harsh punishments at the hands of those Hunters for , so-called' breaking those treaties they forced us to sign." she mumbles. Kōryū flies over "It's like a powder keg out there between both sides." he says "Each is just Waiting for the other to do something stupid and spark a war that'll claim the lives of hundreds, if not thousands." he squeaks. Jennifer hadn't said anything about where her Lord Arch-Bishop Alister had gone to, for she honestly didn't know. Though, like the others, she, too, was concerned. It wasn't like the Arch-Bishop to leave those in need for so long. She couldn't shake the feeling that something had happened in the year he's been gone. Espen frowned a bit at this. "It's still that bad.." He muttered to himself. It was naive, and maybe foolish to think otherwise but he had hoped things had settled down a bit to some degree, at least until something else was figured out. He personally hadn't had any trouble from hunters, neither had Norpheus and Vira to his knowledge. War was the last thing he wanted and he didn't want a senseless loss of life over something that shouldn't have been happening in the first place. "Remind me, again, what those treaties entail?" Noprheus knew already but he was thinking of something. Sōten shrugs "I'm not really sure. I was only givin afew reasons not to harm humans." she says "But I think that's the main one, not to harm humans or torment them, unless it's in immediate self defense, and even then you're to go to any Hunters you see." she explains laimly "Let the humans deal with humans, I guess." she mumbles. Kōryū flies between the two "Hey look!" he says as he points with his small claw "It's that Alister fellow on the T.V.!" he squeaks. Sure enough, there was Alister on T.V. He looked elegant in his Arch-Bishop robes, he was in an interview or a press statement or somekind "...And so after a year of hard work, the Mystic Embassy is ready to accept it's first guests." he announces. Norpheus had expected..something else. So far it didn't seem that bad and if anything rather reasonable. "It sounds reasonable, on paper at least. The self-defense thing might be where it could be murky at times because it could be a word vs word thing. But if that's all there is to it, then it shouldn't be such a big issue. I say 'on paper' because if there's this amount of tension there obvious is..."
The angel trailed off when the announcement came on and Espen focused on it giving a silent signal to be quite so he could listen and figure out where it was since they needed to talk. As it turned out, Alister was in Japan giving his speech. Sōten was eager to get back home so she might check this Mystic Embassy out. But first, she needed to finish her dealings here. She looks back to Espen "Anyway, I agree about the treaties Sounding good, but in practice they have been found lacking." she says "It seems like certain parties only want to use them to their advantage, both Hunter and Nonhuman alike." she says with a frown. Espen nodded slowly. "That is problematic. Could you give some examples of how its abused?" Norpheus wondered about that too, he was also wondering if in anyway it could be revised somehow but withheld further comment for now. Sōten shakes her head "Not in greater detail." she says "But I know that there are loopholes that let Nonhumans hurt Humans and the Hunters can't do anything about it." she says "Just as I know there are stipulations in the treaties that let Hunters go after Nonhumans if they have Any kind of proof they have or were going to hurt Humans." she says. Kōryū pipes up "I Can go into greater detail." he says "There was this one time where some Nonhumans tore a young Hunter's soul to shreds and the Hunter's father, who was also a Hunter, Knew who did it, but didn't have any proof it was them." he explains "So they got away scott free." he mumbles "The poor kid. He was barely recognizable." he finishes. "..I'm not aware of any race that mess with souls, unless you didn't mean literally. But, it does sound much like the U.S. justice system. If you could call it that." Espen was trying to think of something, anything that could help. He had been a lawyer so legal matters, loopholes and the like and figuring out how best to use or close them was his forte. "Maybe some documents." Norpheus suddenly said. "Espen is a experienced lawyer after all, so this is more up his alley. If he could look it over, maybe make some revisions and have it to where both parties are satisfied that could be something. I wouldn't know how exactly that would come about but worth a try." Sōten didn't look too convinced "I don't know. The Hunters are Very particular about their treaties and who messes with them." she mumbles "But I suppose it won't hurt to try, for all of our sakes." she says "The most they can do is say 'No', right?" she asks. Kōryū shakes his small head "From what I've heard, they used some kind of illegal spell on the young man." he explains "Well, illegal from the Hunter's point of view." he points out. Norphues frowned a bit at this. "Some sort of soul magic. That..could be a problem but it sounds like it happened a long time ago." But he could see why it might be considered 'illegal'. Human or Nonhuman, nobody wanted their soul messed with. It was what made the sum of what a person a person in the first place. If someone could harm them, or worse yet take control they could make someone their puppet. "I understand." Espen said. "All I would really need is a copy. It stands to reason if they want nonhuman to follow these treaties, then they would have copies of the original so they could actually follow them. I just have to read the fine print, though I'm not sure where I could see about getting a copy." "That aside, I believe we should still play Alister a visit. It doesn't hurt to have a back up plan." Norpheus pointed out. "How about the three of us go together?" He suggest. "If not right away, then handle what we need to and head there. It seems that would be our best bet to contact them. Are you doing anything Espen?" Espen shook his head. "At the moment, no." Sōten liked the idea of seeing Alister again. He was very handsome and knew how to treat a lady, from what she heard. Also, that bit of mystery about him didn't hurt either. She nods "Okay, we can go, but does anyone know where he's at?" she asks. Jennifer nods "He's in Tokyo." she says "That's where his live press conference is being held, right outside of the Mystic Embassy." she says. "Then its settled. We'll head there." Espen was happy this part was panning out. "I know Jennifer can teleport and you as well Norpheus so depends on who you want to go with to transfer you there. Assuming you don't want to take the old fashion way for whatever reason." "I did promise my daughter I'd spend time with her.." Norpheus had gotten rather busy with all the nonhuman, hunter and various other politics and felt a bit guilty of not able to spend as much time as he coyld with them. "I'll catch up with you within a few moments, I need to get them first. On another question, where is Hiromi, your other bodyguard?" He asked, referring to the Dog Demon that was usualy around him and Jennifer. "She had some personal things to take care in regards to family, I can't say more then that." Espen answered. "But she'll come back." Jennifer nods "I have no problems with taking all three of you there." she says. Kōryū gets a very indignant look on his face "Excuse me, but they're Four of us here." he grumps. Jennifer looks at the small dragon "Apologies, I didn't include you because of your size." she says "If you all wish, I can get us to Japan in little time." she offers. Norpheus shook his head. "I'll be with all of you in a moment, I need to get my daughter first. I'll be there with you soon enough. Take care for now." His form was covered in a silver light, when it faded he was gone. Espen moved closer to Jennifer. "Ready when you are." 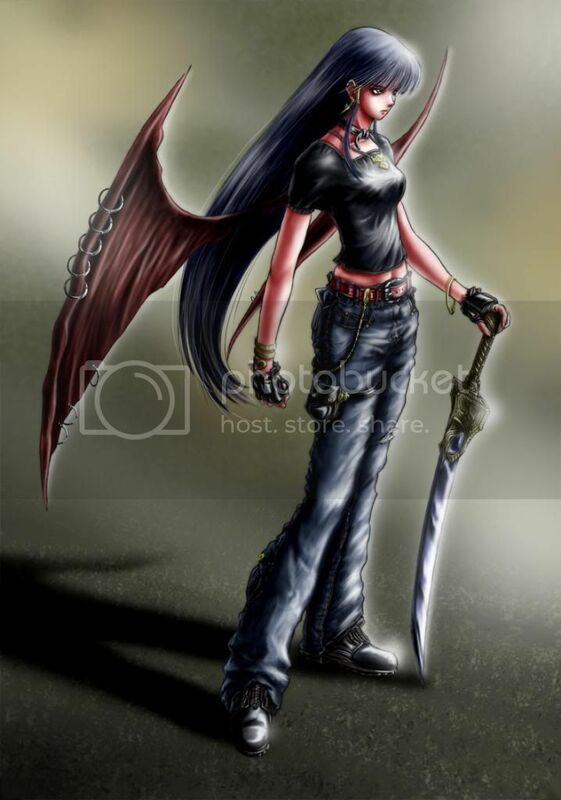 Jennifer nods as she holds out her hands to Espen and Sōten, but the Thunder demon shakes her head "Oh, no thank you. I'll ride on Kōryū;" she says "That's how I always get around." she explains. Then nods to Espen "I'll meet you there." she says, then excuses herself, Kōryū following her out. Jennifer looks over to Espen "Well then, shall we?" she asks as she places a hand on his shoulder, folds her around the two of them and in a 'ZIPPING!!' sound, then were gone. Off to Tokyo!